October 29 News | Jobs in Film, Radio, Audio. Journey Into an Audio Career! Recording Connection graduate Nate Riley has proved himself to be a mastermind of assessing others needs and demonstrating the value he can bring as a hardworking, dedicated audio engineer and music producer. 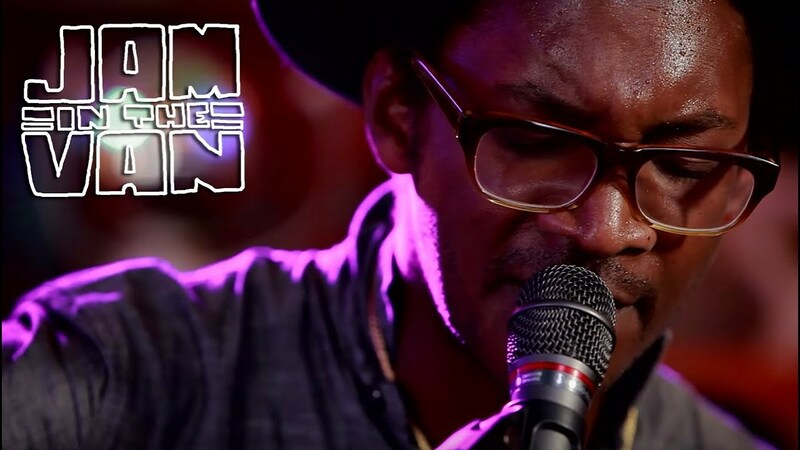 We recently spoke with Nate about his journey from band member and musician to newest addition to the staff at his mentor’s studio Anthony Walker Music, which takes its name from the owner/engineer/producer and mentor, Anthony Walker. What got you interested in audio engineering in the first place? “I was in a touring band, and we had gone through multiple different studios, and I was always kind of left a little confused and kind of unhappy with what we were getting out of the studio. So that motivated me to want to learn myself how to do it so I could start producing music for my own band that I was involved in at the time. So I was looking around just trying to figure out where I could get the proper education, and so I stumbled across Recording Connection, and it seemed really interesting to me because they actually put you inside of a studio rather than you just doing bookwork, which was a pretty big deal.” What do you believe to be the biggest benefit of our in-industry approach? “There’s so many things where you need to witness in a live situation, so to speak. And to work with a professional, it’s almost vital because you could have a teacher and they could show you, but there’s always a variable in the studio. You never really understand until you’re in there that, like, a cord could go out, and how do you solve that problem? Because you have to trace it back. [There’s] a lot of problem solving that you can only really get in that professional atmosphere.” What was it like meeting your mentor, Anthony Walker, for the first time? “Just right away, we hit it off. He was a really cool guy. He had a really nice studio. We had quite a bit in common as far as music that we enjoyed listening to, and he’s also extremely intelligent. So I knew that I would definitely have a strong advantage for learning, working with him.” What led up to you joining the staff as an audio engineer/music producer at Anthony Walker? “I wasn’t even finished with school yet…and he was talking about how he wanted to bring in more clients, and that’s when we started to have the conversation about what I have done in the past and I started bringing in ideas to sculpt and redo the website…So when we started talking about that [and] he could tell that I was really wanting to be involved. [Also], I was really motivated and picked up quickly with how his studio is wired. About halfway through my schooling with Recording Connection, I was able to effectively run everything pretty much alone, so that definitely made him excited. Once we started talking about the website, he was mentioning a staff page, and he said, ‘I would really like to take you on, if that’s something you would like, and I can get you some business cards’…And then we worked it all out. I take on my own clients, and yeah, it’s been a lot of fun.” Have any projects you want to talk about ? “I’m actually recording my own band in Anthony’s studio right now. It was this really big deal for the both of us. I was writing music for it for the better half of a year, and from the very beginning I said, ‘Yes, once it’s done I’m going to bring this in here.’ So we’ve been working on that now since August and just kind of fitting it in as the days go on, squeezing in between other clients and things like that. But that’s been a lot of fun because Anthony and I are really working together and really trying to create an art form. To me it’s fun because we’re not worried about the timeframe. It’s just all kind of this creative thing, and Anthony is a very strong music producer, which has also been very exciting. He knows music theory like no other, and he’s been bringing a lot of very strong ideas to the table. And it’s also just very exciting for me because I get to finally mess with all the things that I’ve always wanted to mess around with in the studio.” So what’s your band like? What’s your sound? “We’re like ambient folk rock. We have some heavy reverb on the guitar and the electric guitar backed up by acoustic and banjo, and then just really personal lyrics, I guess. It’s very melancholy sort of inspired stuff.” So your folks, have they been supportive through this journey? Yeah, definitely. My grandfather actually has been the main support through the whole thing. He’s really excited about it. It’s funny because I’m the only musician in my family entirely. I was always expressing the idea. They’re like, ‘Okay, awesome. You’re going to play guitar in the band, and maybe you guys will do something, but you need to find a way to sort of bring in an income or plant your roots,’ I guess. And when I took this decision, I’d always said, ‘Yeah, well that will be with audio engineering and music production,’ and I never really knew how I was going to get there, then I brought this up, and they’ve been very supportive and excited about the whole thing. They think it’s really cool. I think one of the big things is they’re like, ‘Okay, so the school actually puts you in a studio. That sounds very legitimate.’” What’s your advice to Recording Connection students on how can they make the most of the program while they’re in it? “Go to as many studio sessions that are offered to you as possible, always try to be present, and always be positive and motivated, and definitely pay attention because when you’re in the studio, time is valuable, so you need to be sharp and listen and be effective, and also just network a lot. I mean, the big thing is a lot of networking and a lot of expressing your interest and who you are and what you have to offer and yeah, then the rest just kind of falls in place like anything else… It’s so vital to dig into your local music scene. It’s very important working in a studio, to get clients in and that aspect of networking…Go and support local music, local bands, go to local venues, and just look for the people in your area, get really involved with that and try to make an impact, especially offering to help. That sort of thing is really influential towards success.” Learn more about the Recording Connection for Audio Engineering & Music Production Program. on Filmmaking and Finding Your Way! Producer, DP, and filmmaker of many talents Ron McPherson (Los Angeles, CA) found his way into film via his early career as a makeup artist and photographer in the entertainment industry. Now, with close to three decades in the business of making movies, he’s lending his various talents to help educate the next wave of filmmakers as a Film Connection mentor. We recently caught up with Ron to hear about his latest projects and garner a bit of advice for film lovers who want to find their way in the industry. Enjoy! Have some recent projects you’d like to tell us about? “I just got back from Washington. I was up in Anacortes, and I was filming killer whales in their natural habitat. I went up toward Canada… It was like 68 degrees and clear in August and the water was calm and it was just gorgeous. We got to learn a lot about the orcas and the community of people that basically live with these magnificent creatures. I mean literally, there are hundreds and hundreds of people on a daily basis that are in boats or walking along the shore, and giant killer whales, maybe 6 or 8 of them will just swim by, you know? And it’s just part of their everyday life. I’m going to be sending a proposal to National Geographic, who’s very, very interested in these types of subject matters. It’s very much their focus. There’s a big story to be told about the Wildlife and people in those regions” You’ve also worked with Kevin Hart a number of times. On which projects? To name a few, on What Now? , a Tommy John Products commercial, and a Miller Lite commercial too. Also, you recently did two horror movies, Howlers and The Harrowing. What can you tell us about those projects? “Christine Liu showed up and I got a chance to meet her in the busy-ness of arriving at set. I said, ‘Well, what are you looking to do?’ She said, ‘Well, I’m very interested in screenwriting.’ I sent Christine to the AD to be on his team…So she did the entire “Secrets” video literally on the team with the Assistant Director and working very closely with all of us. It was a very long day, but yeah, and she was wonderful. When I have an experience like that with a student and I just, I can see that potential, and I really believe that everyone has the potential. So I’m always looking for people and spotting that potential in them. With Christine it was the same thing. We have another show coming up here in a few weeks that is a fashion show, and I thought of Christine…Even though it doesn’t have to do with writing exactly, it does have to do with the inner workings of how these productions go. And I think the value for the students is being able to see the behind the scenes, pulling back the curtain and letting her meet Oz. And I think that kind of experience just provides such a priceless value to a person that’s entering the film business that’s deciding where they want to go, what department, what place, what appeals to them.” So let’s say that I am a story person. I love movies, I love story, and I’m interested in working in film. Could I possibly have the potential to become a good film editor? “Sure, absolutely. In fact, I will even have the editor, or what they sometimes call the story editor, come out to the set or even hire them as part of the prep before we shoot something… as an example, Reality [TV] would use a story editor. You can use the talents of the story editor to know how to shape things…That’s a story editor, really.” Is the story editor also the editor back in post? Or are those usually two different people? “Usually it’s going to be the same person. I mean, everything’s the Wild West when it comes to independent production… [or] it’s going to be the person that can translate between what’s happening on set and what’s going to end up happening on the edit bay, so that the editor can be on the same page and can really have a better understanding of the hundreds of clips that he’s looking at, because the story editor is there saying, ‘Yeah, this girl right here, when she did this, this is what happened.’ And the editor can now say, ‘Oh, okay. Great. Well, let me find shots that are going to be the best for the story.’” What’s your advice to people who know they want to work in film but don’t know exactly what they want to do? “It’s important to have a general idea of where you want to be. If you can pick, we can use broad strokes like ‘I really want to be behind the camera somewhere, I don’t know, maybe directing, maybe producing. I kind of like writing.’ Those are all very different things. Try to narrow it down to just a few things and see how interrelated they are. That’s the beauty of what I do and being able to know enough about each department to efficiently and effectively make use of everybody to serve the story.” Learn more about Film Connection’s programs and workshops in filmmaking, cinematography, screenwriting, and more! 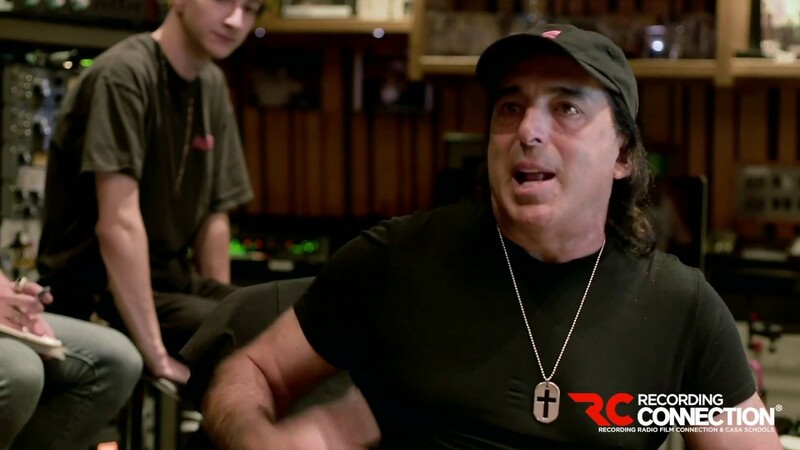 Five-time GRAMMY® Award-winning mix engineer CHRIS LORD-ALGE aka “CLA,” (Rage Against the Machine, Pink, Linkin Park, Madonna, Lady Antebellum, Krewella, Green Day, Keith Urban, Carrie Underwood) directed the second annual Csaba Petocz Master Class at Mix L.A. studios in Los Angeles! Speaking of the experience, Recording Connection student and attendee Dawnette Scolari says: “From his candid advice on how to manage your business, the importance of being organized and impressive mix process, the CLA workshop was an invaluable experience and a dream come true.” And Uriel Soto Jr. Recording Connection graduate and Lead Engineer at ES Audio (Los Angeles, CA) says: “The Chris Lorde-Alge Workshop was more than a dream come true! In my wildest dreams did I ever think I’d ever get to meet one of my heroes and an engineer that I’ve modeled my whole career and sound after. The way he mixes drums, bass and vocals has always been the way I always hoped my mixes would sound like. The day we attended the workshop, I discovered many techniques and approaches he does that first, made total sense to me and second, I’ve started applying into my own work…He is a great, straight forward, joking and just cool guy to hang out with.” Catch a look inside the workshop with Chris Lord-Alge in our Media section below! Film Connection student Claire Dooley who externs with Ralph Madison of Madison Productions recently blogged about meeting her future mentor on-location for the first time: The Interview “Good morning! Excuse me, but are you Ralph?’ I say to a man with long, gray hair and a light blue cotton shirt. “Why yes, that’s me. You must be Claire?” he says. From moment one, I felt silly for ever thinking this man would be “scary.”…It was nice. I met Levay, a member of Ralph’s team, and we seemed to hit it off. I really ended up talking to and meeting everyone…I felt at home with all of these strangers. Paying close attention, I asked a few questions about the video cameras and learned a little, like UV lenses, stabilization, and how generators work in relation to the video cameras… Ralph and I exchanged a few good conversations. He asked what I wanted to do, who I wanted to be, what my plan was. I didn’t know where I was going but I knew that in his hands I would learn just what I was looking for. I would be taught everything I need to be taken care of. He asked me to be his student, which felt uplifting and electric. I left that day with a little bit of knowledge, a lot of hope, and a feeling that I never got when I made an A+ on a test. This is why I’m doing this. This is why I am here. Learn more about training with a professional filmmaker with Film Connection. Catch a look inside the 2nd Annual Csaba Petocz Master Class with CHRIS LORD-ALGE at Mix L.A. Studios Los Angeles!